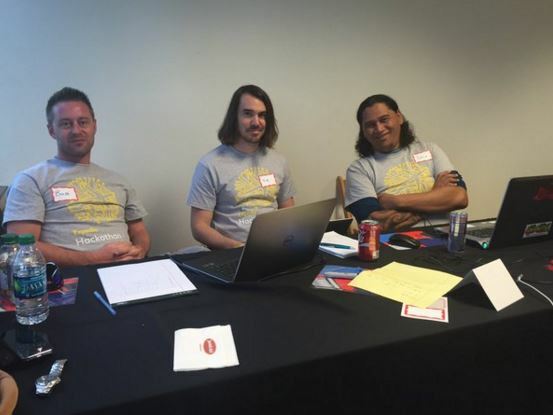 John and Brett have competed in the 2015 Expedia Hackathon in Las Vegas. They designed a promotions search tool that hoteliers could use to find additional services, in which hotels could package with their room sale. During the first day, the boys worked on the design for about 10 hours. After a busy first day, the boys started at 8:00 am on the second day of the competition and finished coding by 3:00 pm. HiRUM was the only company competing from Australia! The boys had a fantastic time, and have learned a lot from this experience. continuing on with their travel adventures around the U.S.
To keep up to date, follow them on twitter @HiRUMDev.